Cork might make you think of the Seventies, if you have been around that long (we have! ), but we are seeing it being used in a fresh way in some of the spaces we do up. Sure comes in handy to pin diagrams and blueprints on, too. This feels almost like a mural or artwork. 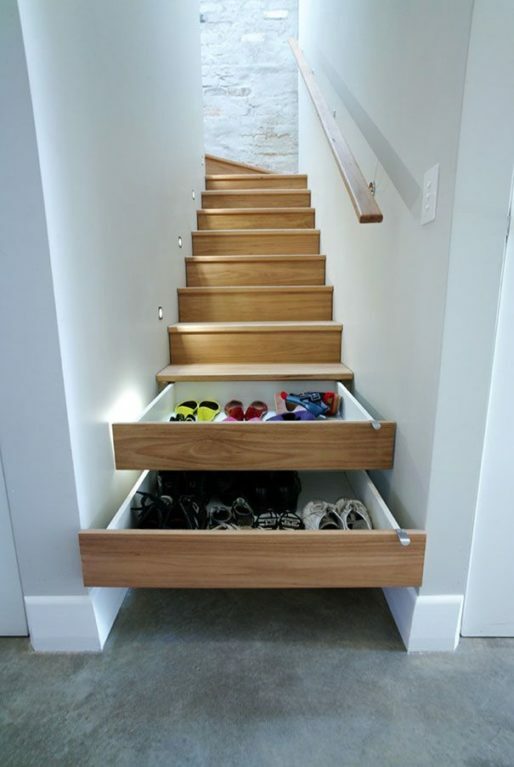 We like the thought that it can be used practically if you feel like it. 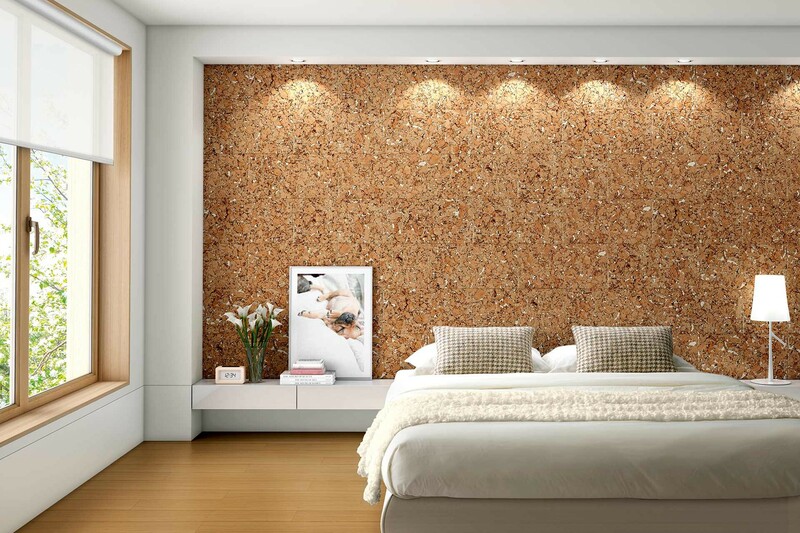 Cork is a great insulator as well! Here, the sensible factor is straightforward. 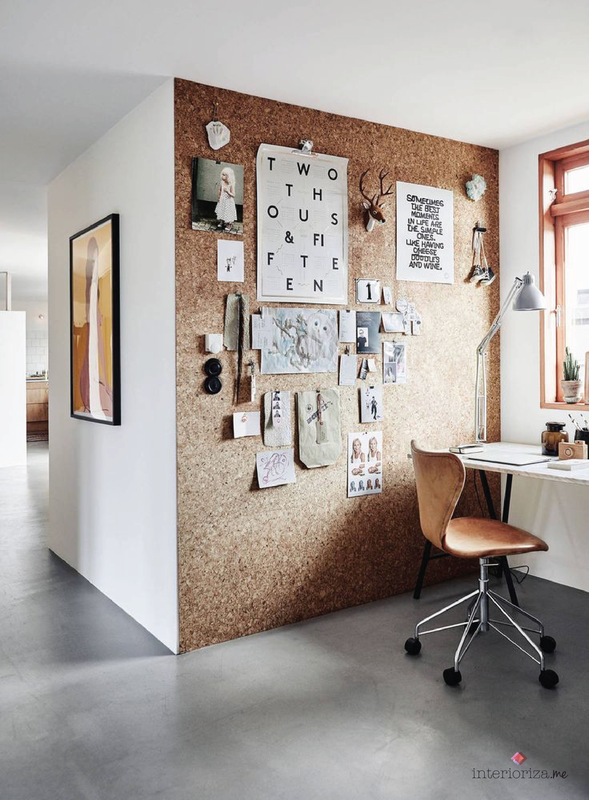 We have to say that this is more like the way we would use cork in our own loft office – although the images we choose to put up may be just a bit different! 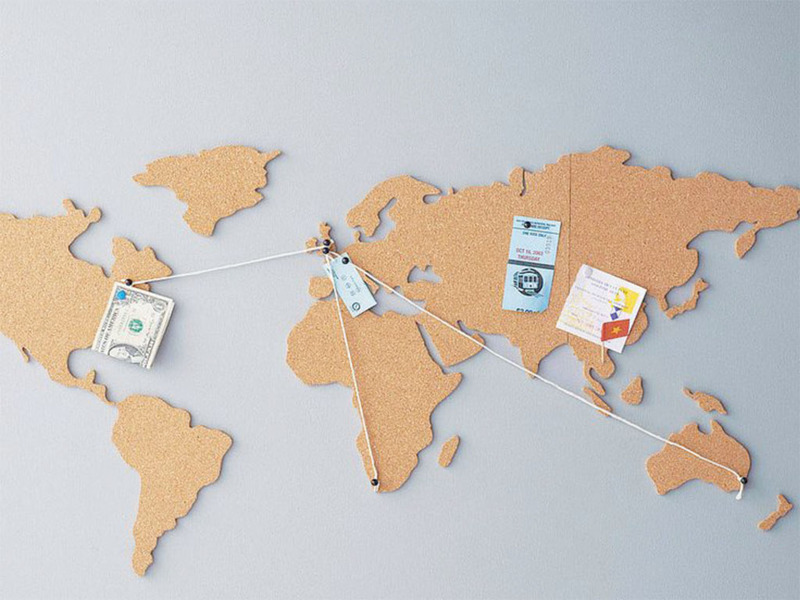 Our office would be more like this, we would say…. This is quite dramatic and reminds us of plywood. We think it works well, though. It certainly makes for a strong statement – and you could even tack a declaration right on. 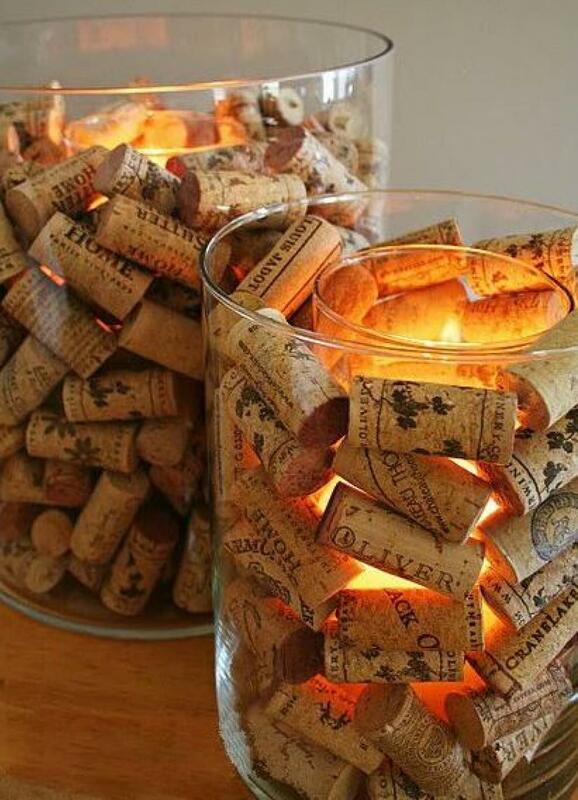 A subtler, more surprising way of using cork. 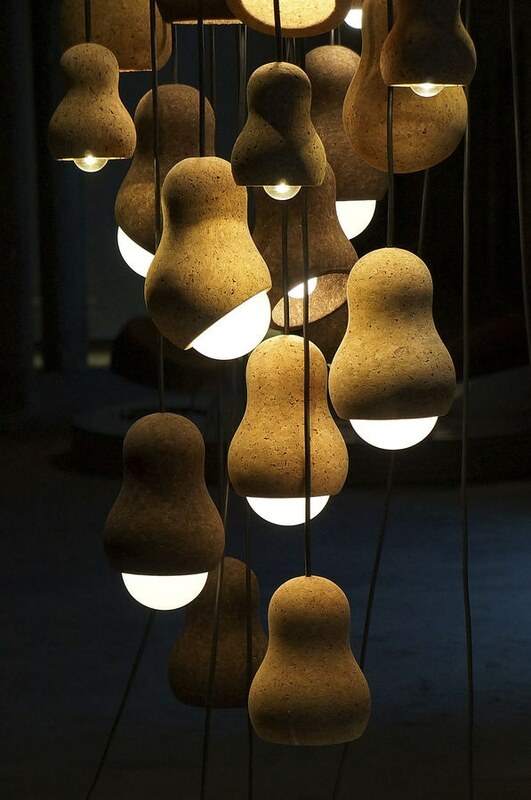 These hanging lights make us think of squash or acorns. 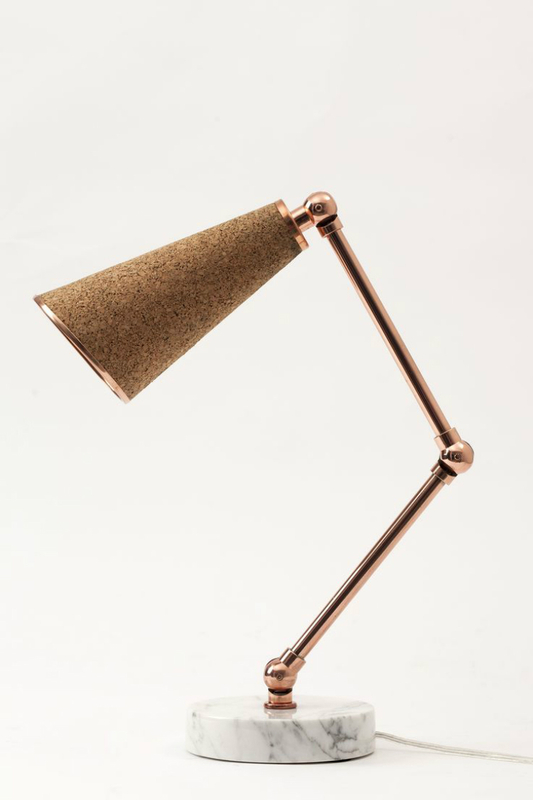 More corkin’ lamps. 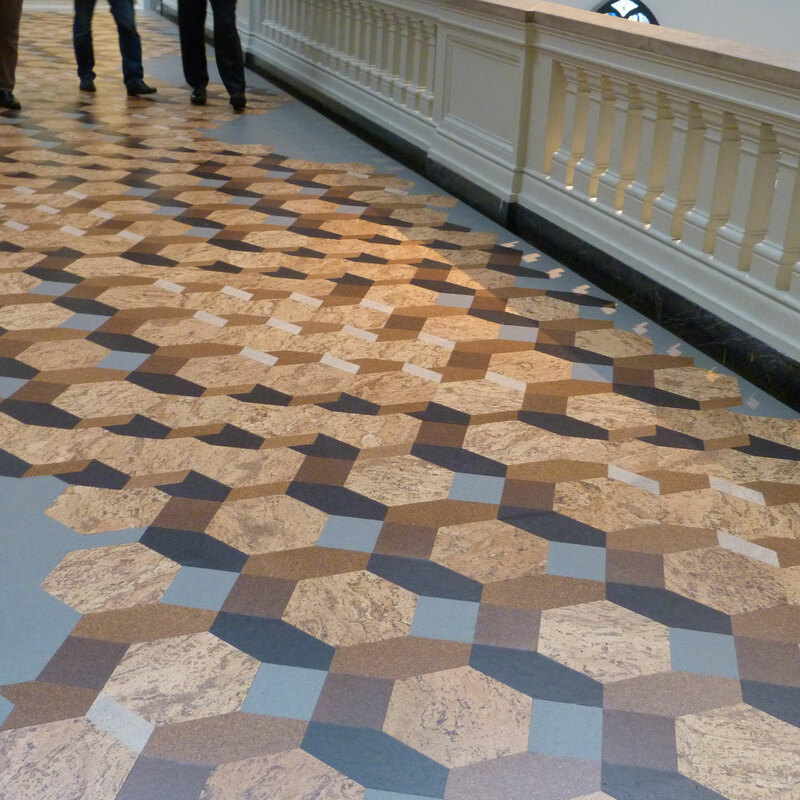 Cork, copper and marble – who would have thought? Certainly not us, but it does work, doesn’t it? These are just beautiful in their simplicity, not to mention surprising. 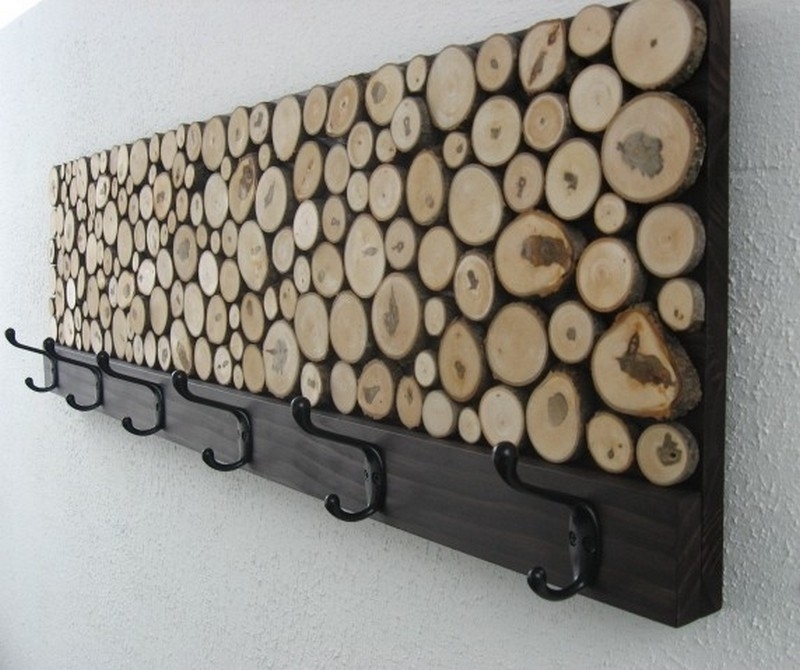 You could pull off this rustic coat rack using circles of cork. Might work for some sort of game, although we haven’t come up with the rules just yet…. Darts maybe? 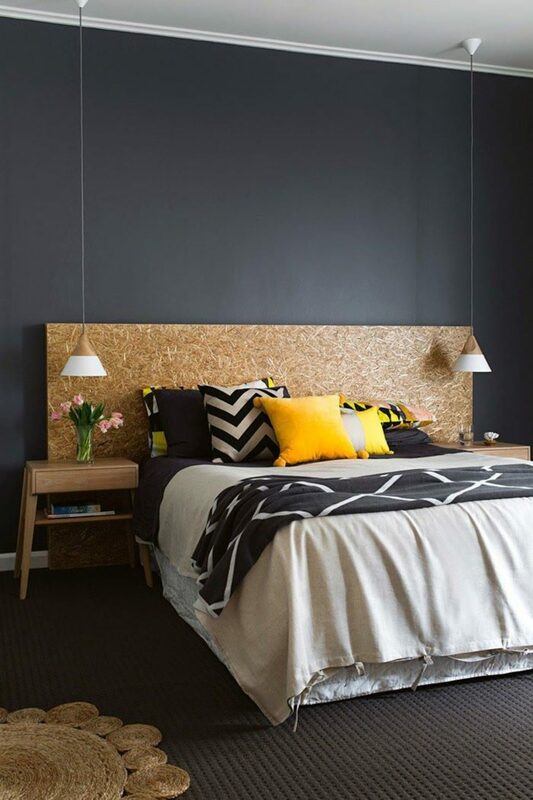 The utilitarian appeal of this material shows up even more when used in a bedroom. 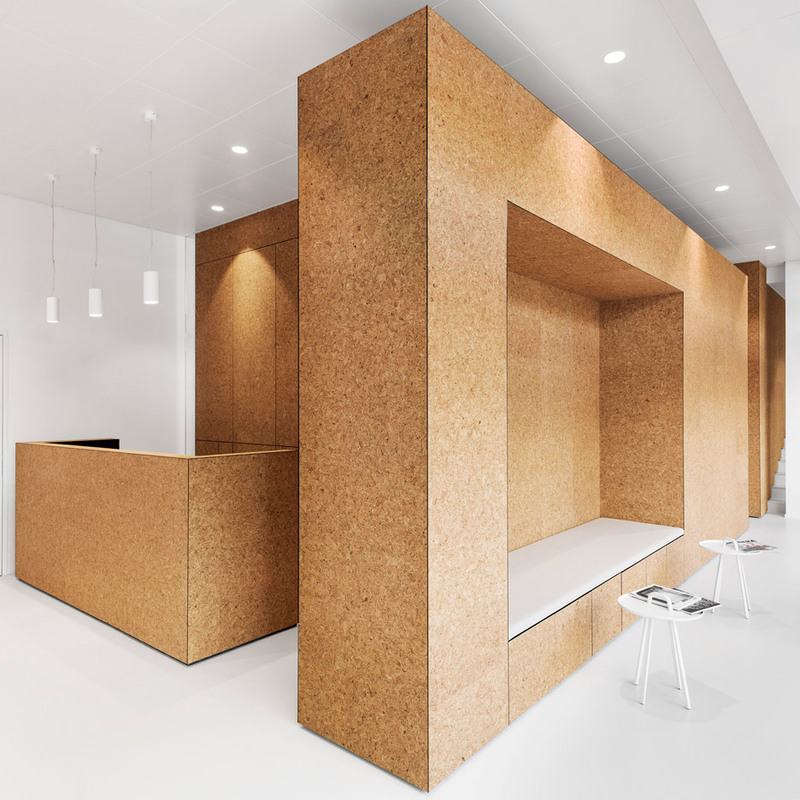 The texture and basic unfussiness of cork is very welcome here, against the white, concrete, and the high ceilings. 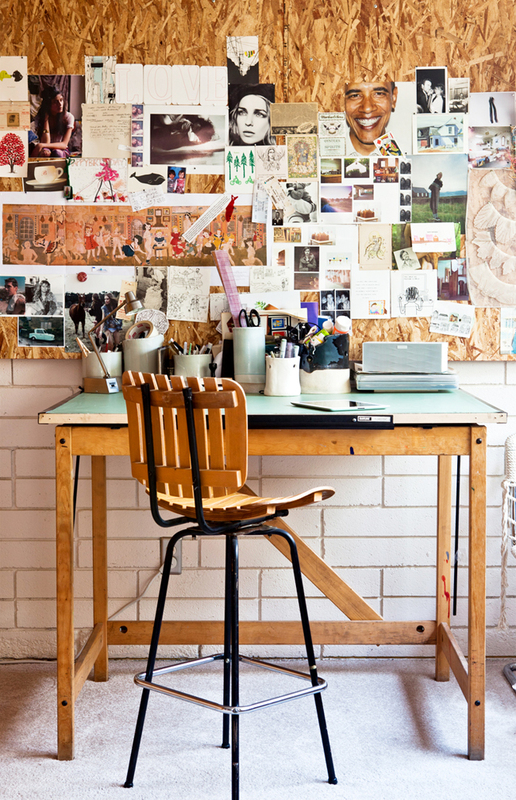 This would work very well in a loft – maybe for a workshop or office space. A project we would love to take on. Any takers out there? Now this is fantastic! We’re ordering one right now. 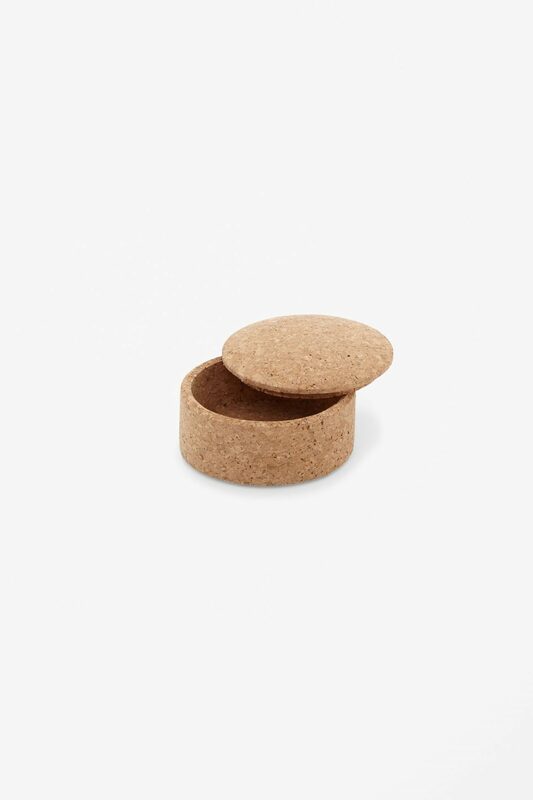 This is an appealingly low-key way to try out some innovatively used cork in your daily environment. 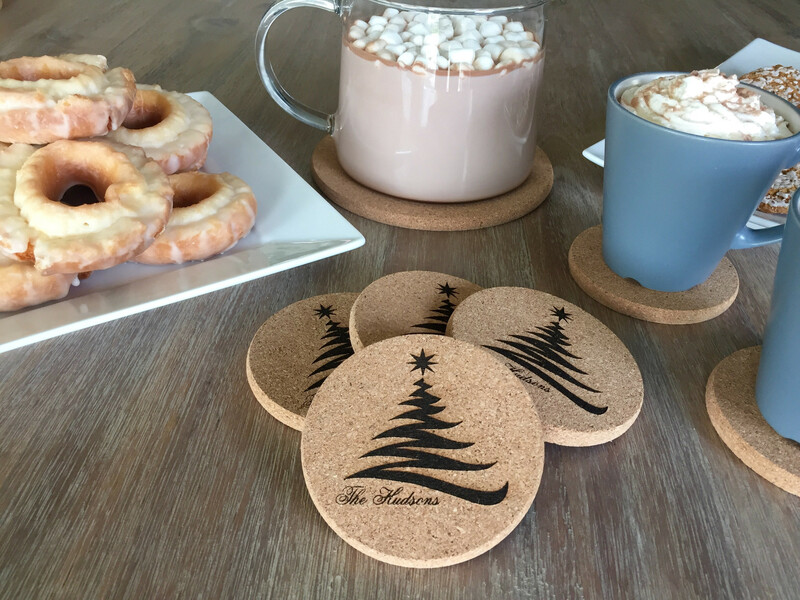 With the amount of hot drinks we go through in the office whilst putting together projects and just shooting the breeze, these would come in very welcome – and might be a good way to ease into a larger commitment to the material. This would be a much more daring choice, but also very nicely classical. Why have we not noticed the resemblance between cork and marble before? 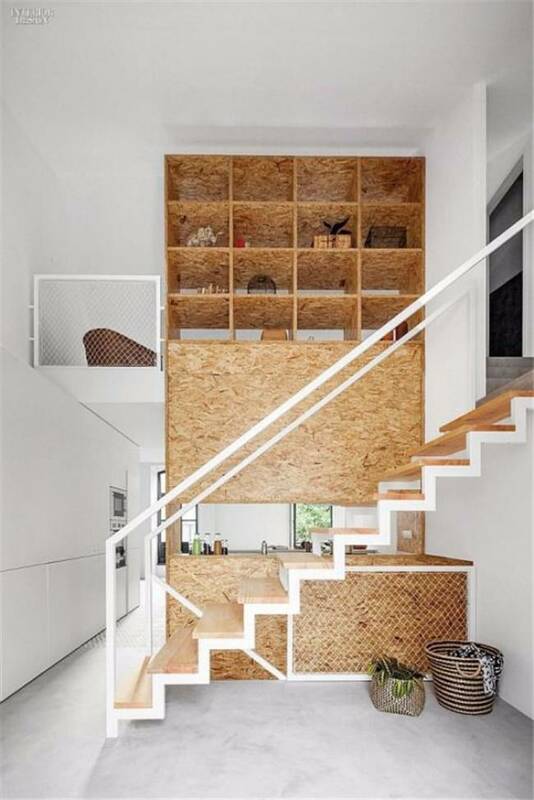 Parquet-style floors like this are not a frequent choice for loft renovations – people tend to think of lofts as secondary spaces – but with some imagination, there is no reason at all why this would not work in a loft. 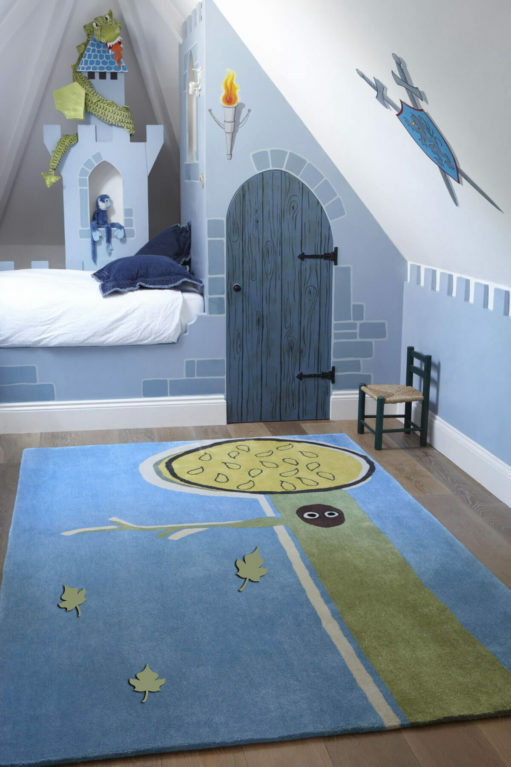 Some plants, an elegant settee or sofa, and a carefully chosen table and you would have an all-purpose room that did not feel like an afterthought to the rest of the house.